The east facing gentle marl soil of the Goldert benefits from a cooler and late ripening climate. Definitely very favorable to the Muscat grape, and within the Muscat different varieties: the Muscat Petit Grains (red and white here) is capable to achieve much more interesting complexity and acidity than the more fruity easier Ottonel. In 2012 we were amazed by how quickly these grapes ripened and kept a brilliant acidity. A slow but powerful fermentation allowed the wine to finish dry. 2/2014: Intense fruity nose, showing great ripeness character. 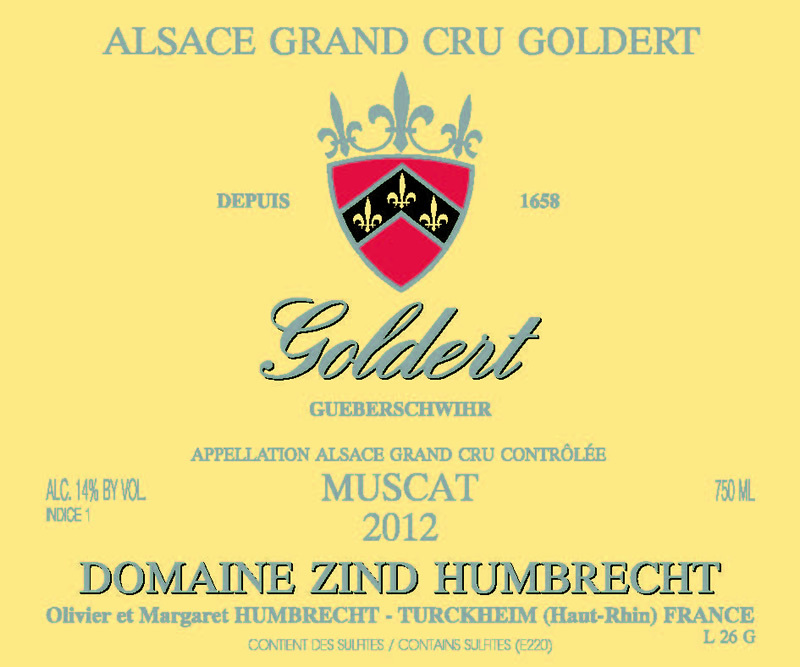 This is a very classic Goldert with intense flavours yet also displaying austere minerals and a natural discretion, so far away from the varietal expression of Muscat. The palate is tight, rich and dry and finishes with a mouthwatering acidity. This is an intense Muscat but also so delicate and pure. Great ageing potential and definitely meant to go with food.